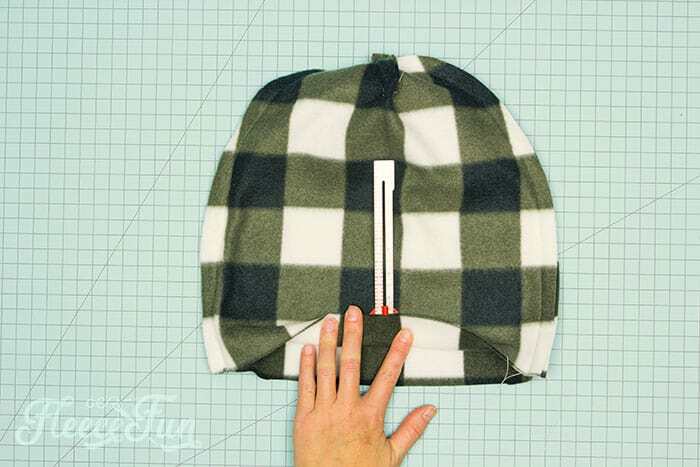 Free Sewing Pattern: This Fleece Slouchy Beanie DIY comes with a FREE Pattern sizes baby to adult. 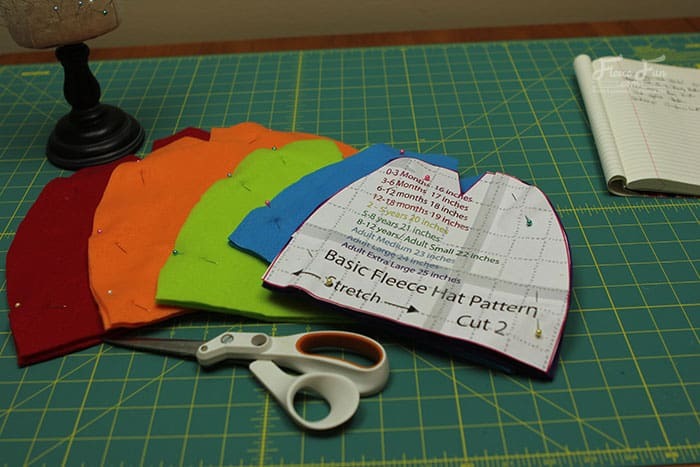 Beginner friendly with clear step by step photos to make it easy. 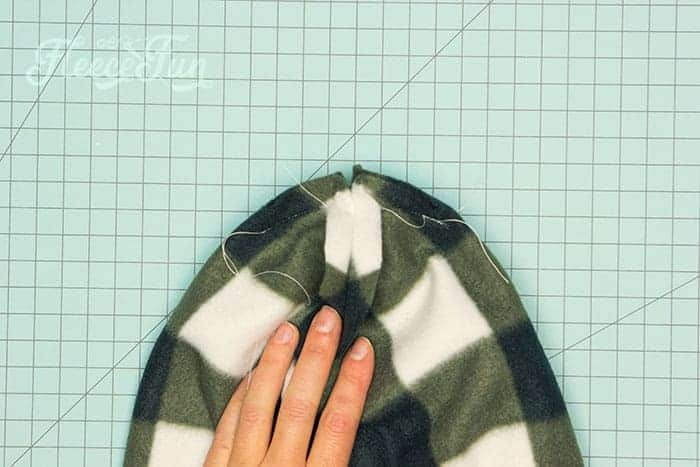 This fleece hat sew up quickly and makes wonderful gifts and keeps heads warm. 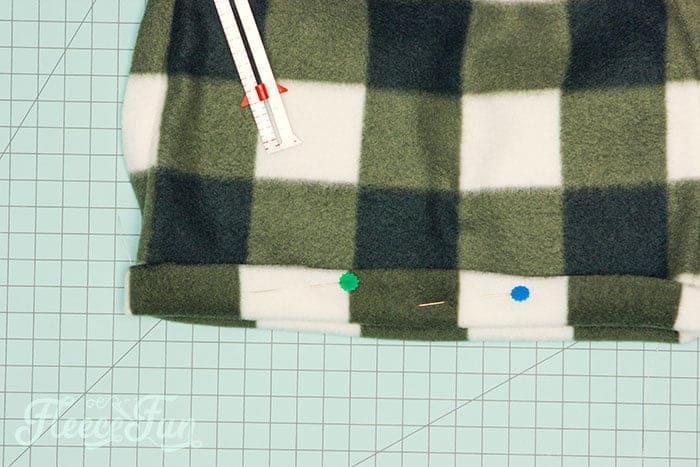 Wonderful fleece sewing project. 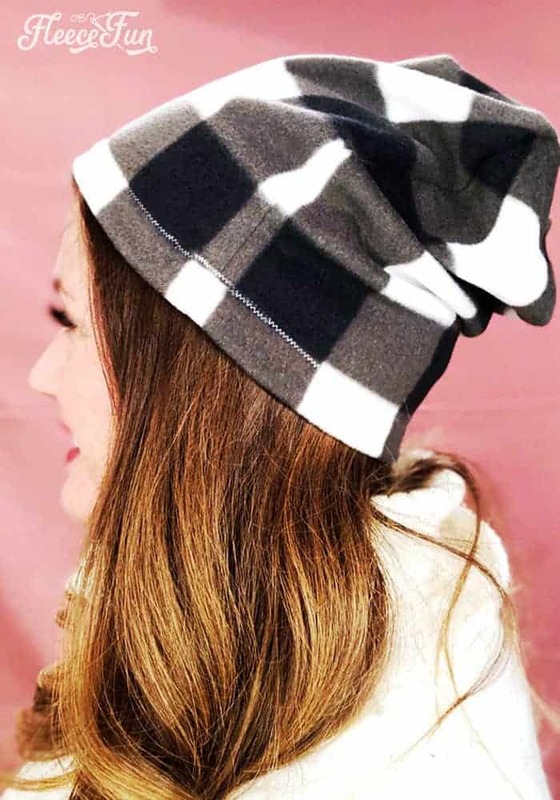 This Slouchy Fleece Slouchy Beanie DIY (Free Pattern) sews up quickly and can be made in sizes baby to adult. 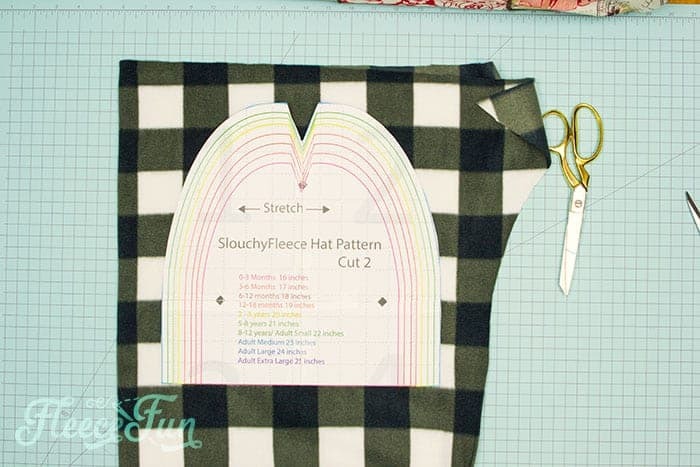 Just a Few simple seams and you can have a hat in the fleece material that you like! 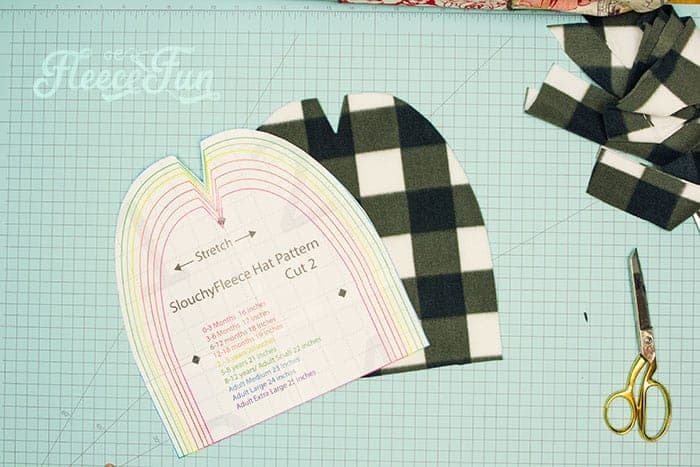 You will need to assemble the free fleece Beanie pattern. 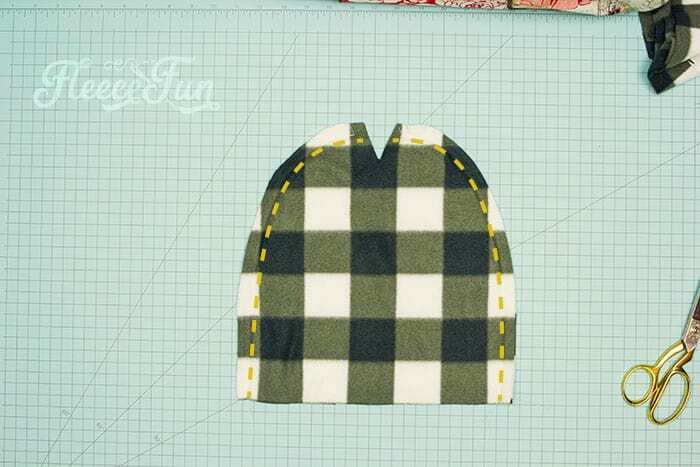 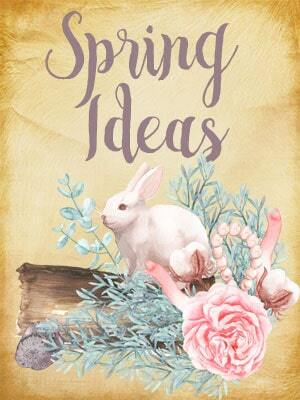 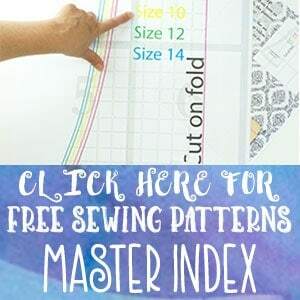 For instructions on how to assemble the sewing pattern click here. 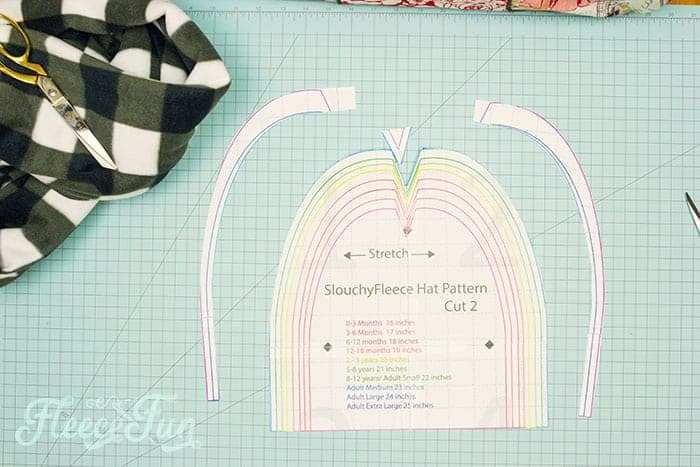 Decide on the size of slouchy beanie you’re making and cut to that line. 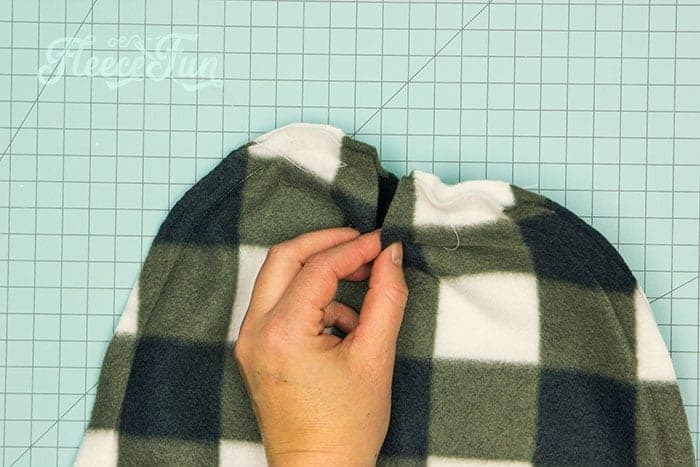 Now that you’ve sewn the sides of the fleece hat it’s time to close the top. 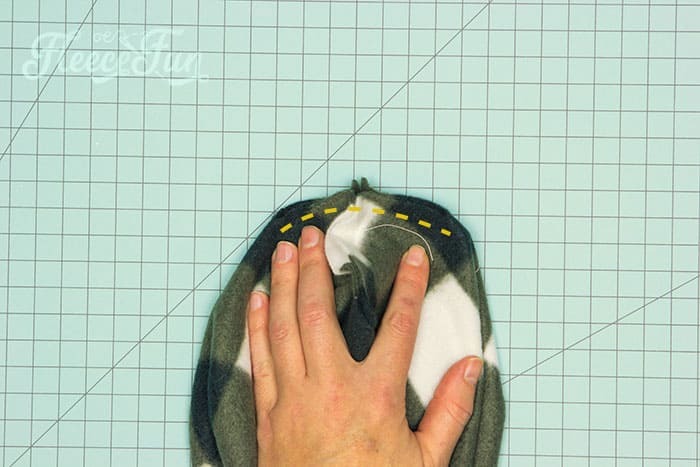 Fold the hat in half so the seams you just sewed are touching. 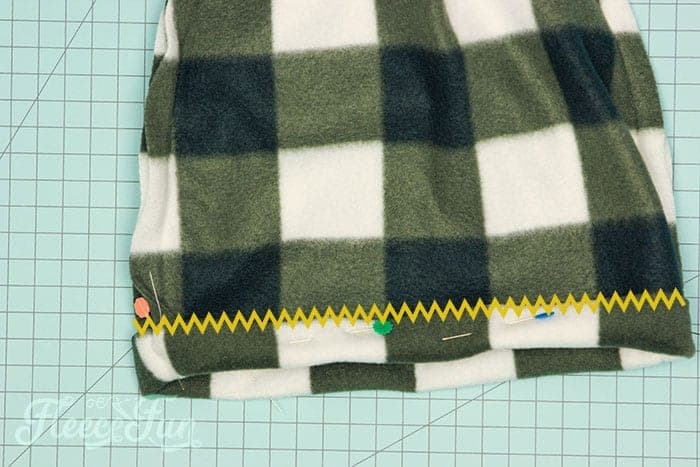 pin and sew a zig-zag stitch over the edge of the fabric. 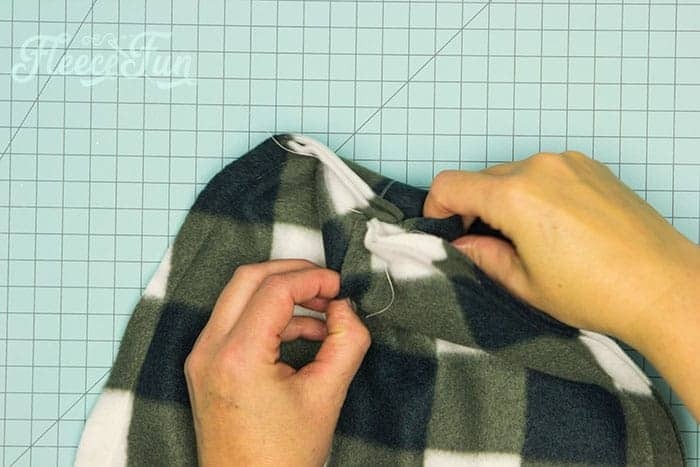 Snip any loose threads and turn right side out. 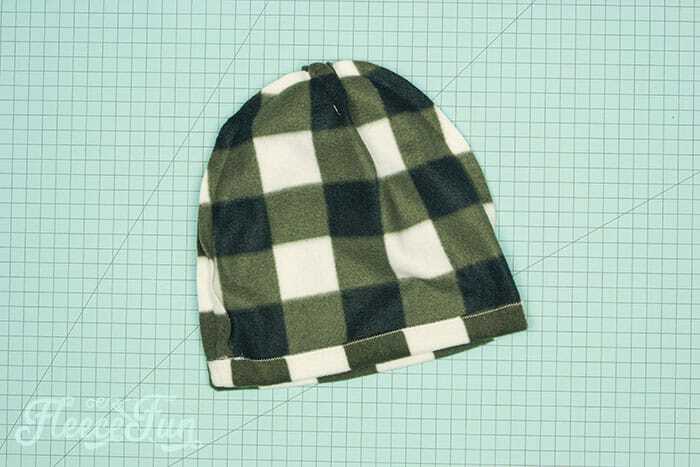 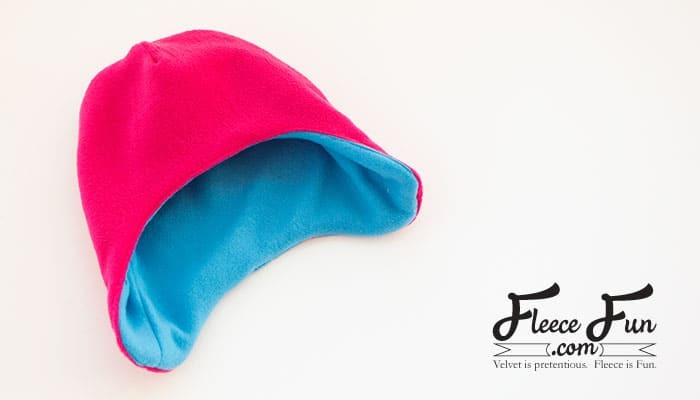 The Basic fleece hat – a fitted beanie version.